Ideal for creating exclusion zones around road works, maintenance areas and work zones. The WorkZone barricade can also be used at events as a crowd control barrier. They are lightweight and easy to stack, ensuring transport and storage is a breeze. 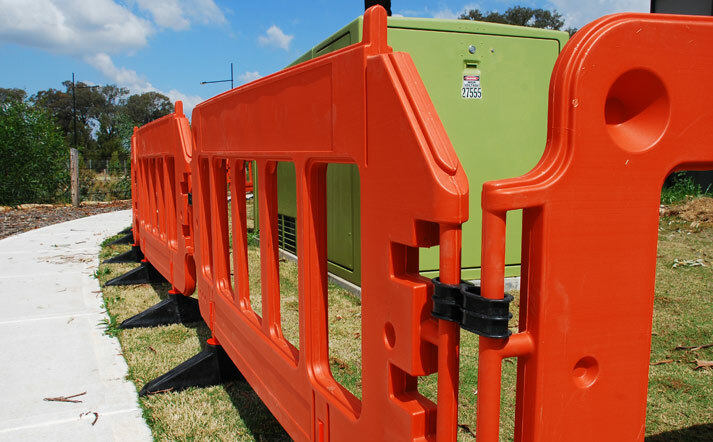 Fortress Fencing WorkZone Barriers are ideal for crowd control, footpath construction, pedestrian awareness, and as a work site barrier. Weighing just over 15 kg, each Fortress Fencing WorkZone Barrier panel is manageable by one person. The system is easy to set up and dismantle. 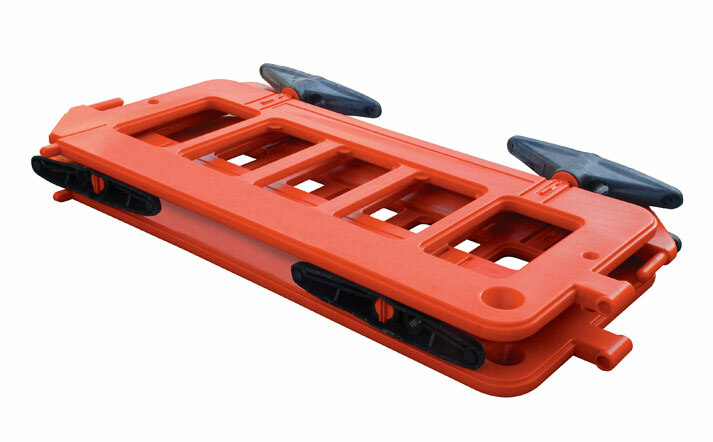 Each panel measures 2000 mm long x 1000 mm high and is moulded from safety orange plastic. 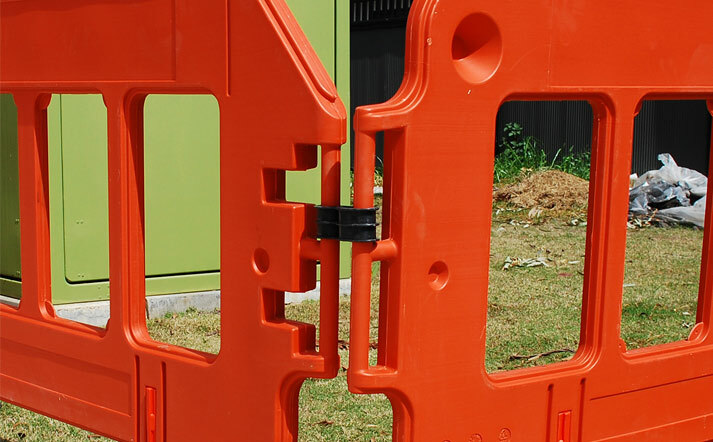 The Fortress Fencing WorkZone Barrier consists of a tough, single piece, thermoplastic frame fitted with self-weighted feet that rotate for storage and transport. The system is modular and each panel links together easily with a moulded pin and lock system. 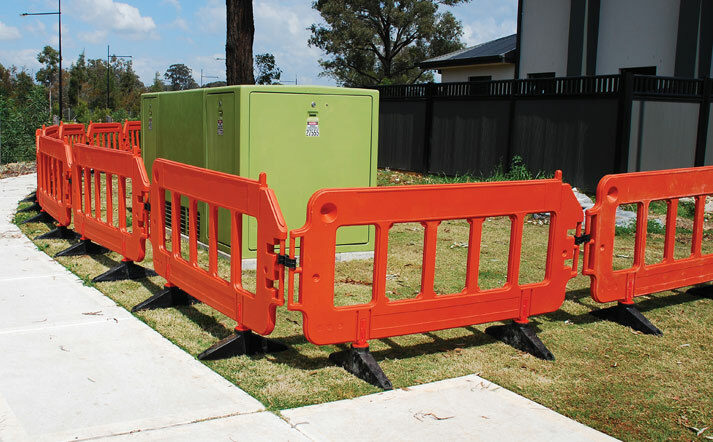 In bright safety orange, it is an effective barrier to demarcate no-go zones. 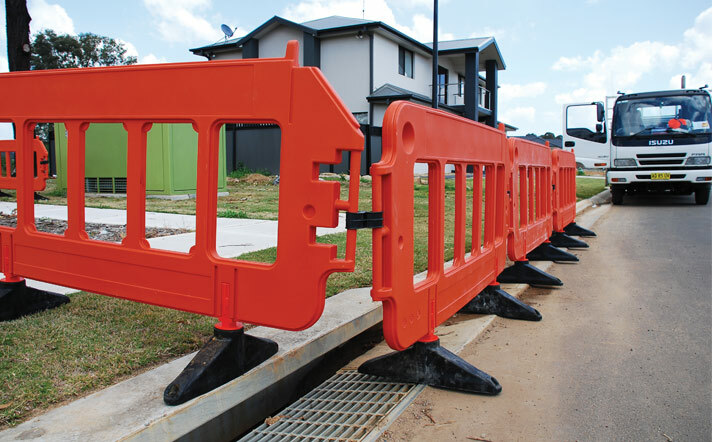 Designed for stackablity and transportation, the WorkZone is a sturdy free standing barrier. Consisting of a tough, single piece thermoplastic frame, it can be linked with other modules to create a highly visible pedestrian barrier.